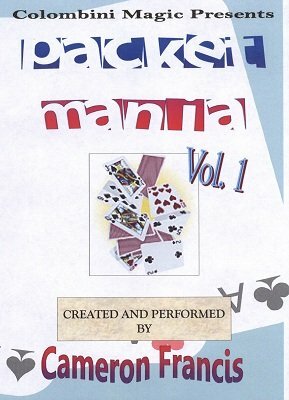 Great packet tricks using some special cards, which are very easy to find. B-O-X-! : A truly offbeat four King assembly. TROUBLEMAKERS: Xs appear on the backs of four Jokers, then two of them jump to the faces of two other Jokers. NO LONGER: Four double blank cards are shown. A mentally selected King appears on one of them. Then it is seen to be printed on all the cards. One is placed aside and the magician claims that the other three are no longer Kings. He proves it by turning the cards over. On their faces are printed NO LONGER KINGS! Totally examinable. MIXED PERCEPTION: A card is selected from a packet of cards. The cards are mixed face up and face down. A click and they are all face down save the selection. The selection is then seen to have an odd colored back. As if that weren't enough, the faces of the other cards are now blank! Almost completely self working. PRINTING ACES: Previously unpublished. The word ACE appears on four blank faced cards. Then the magician turns them into four real Aces.